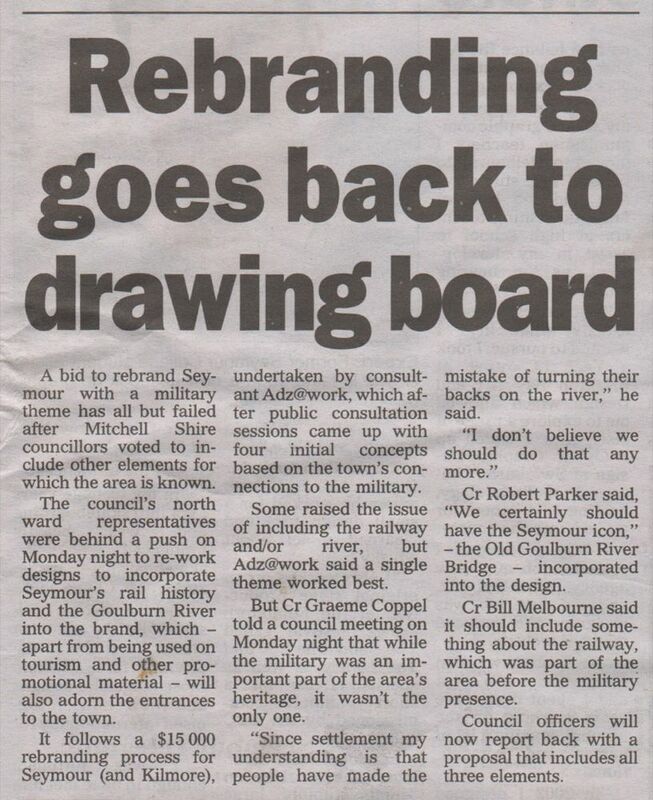 After seeing the new Seymour branding designs at the local market I was inspired to write an article in the local paper offering an alternative to a military theme for the town, that being the railway. It seems that there was quite a bit of support for my suggestion, and others who supported the inclusion of the Goulburn River / Historic Bridge along with the Military and Railway. In fact nobody that I spoke to supported a Military theme on it's own. Unfortunately the recommendations made to council did not reflect this and figures supplied in the recommendations still suggested that 90% of people supported the military theme. I write to inform you of my objection to the branding of Seymour with a Military theme and the process employed. The options provided to the public were all military based and did not actually provide any real option at all. At Chris Guthrie's presentation at the Seymour market he did not present an option to object to the concept, but asked which of the logos was preferred. In my feedback at the time I selected one of the designs (best of a bad bunch), but asked the question why Seymour was not being branded as a railway town. Chris dismissed the idea and included my feedback as support for the design that I indicated. I later provided extensive negative feedback to council via email. It seems that feedback made by passers by at displays is valued in the same was as extensive and well documented feedback presented to council. I later wrote an article in the 'Seymour Telegraph' proposing branding Seymour as a Railway Town and asked locals what they thought about the idea. Everyone that I spoke to thought that it was better than a Military theme and offered more business opportunities for the town. This suggests that the "90% support for a military theme", as Mr Guthrie suggests is not accurate at all. I have also been told that staff at the shire have had only negative feedback to the military image, and that "something is really wrong with Chris's calculations". I request that you reject Mr Guthrie's recommendations and look at real options for the branding of Seymour. That being the River, Rail and Military - even in combination. 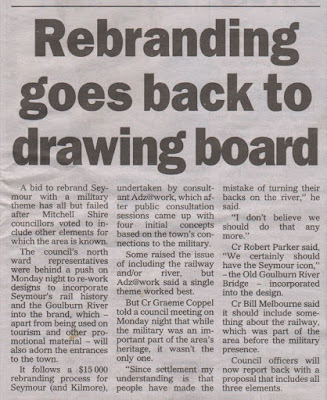 I wasn't the only one to object to the original branding concept, I had support from other locals. Together we put pressure on council to reconsider, and they did. 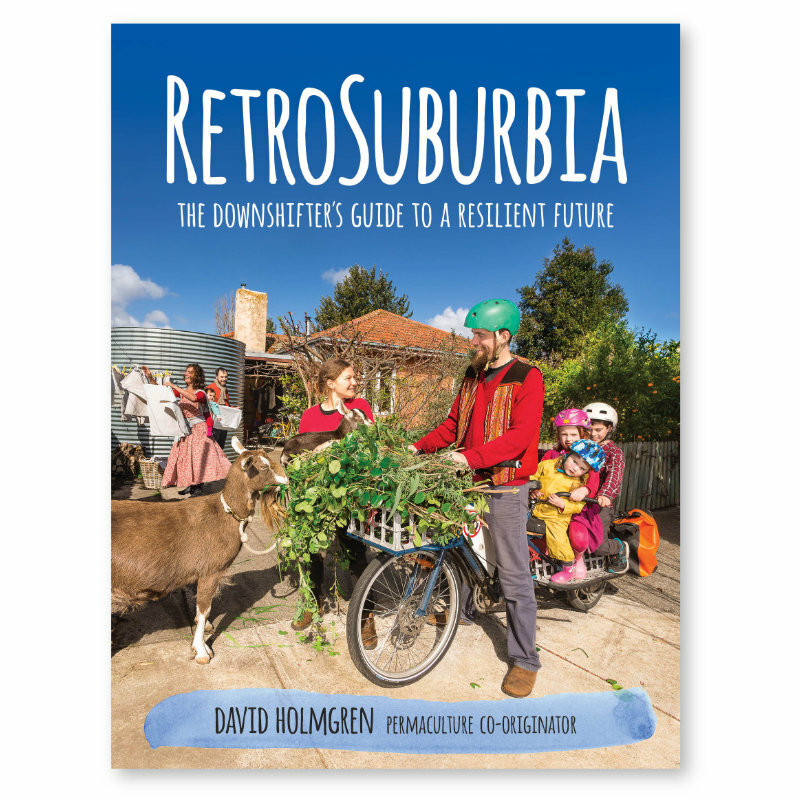 The result has given me some faith that I can make an impact on the wider world and that hidden agendas will need to face scruitiny and feedback from people like myself. Good job Richard and thank you!